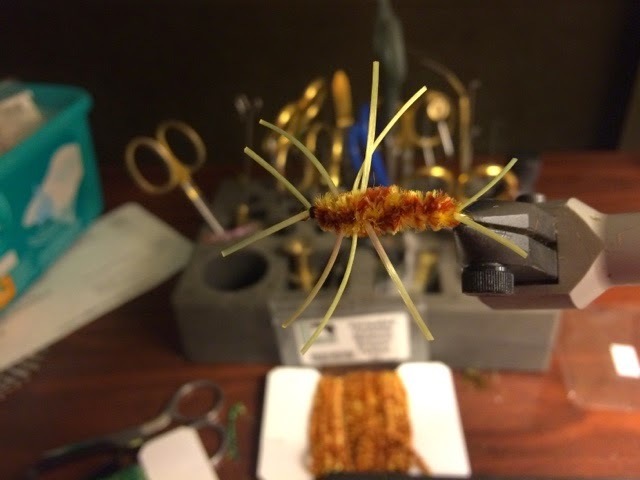 Here we have a very simple fly that is as easy to tie as it is gets. Use a slightly thick gauge of lead or lead substitute and tie the legs in to three spots using the lead wraps to do the spacing for me. Pat's rubber legs is a winner for sure. It produces in the Rangeley area as well as it does in the west! I cut the legs a bit shorter than most people and I do this for purely aesthetic reasons.